Something that Mexico does that I love, is cinnamon with chocolate. Have you ever tried it? 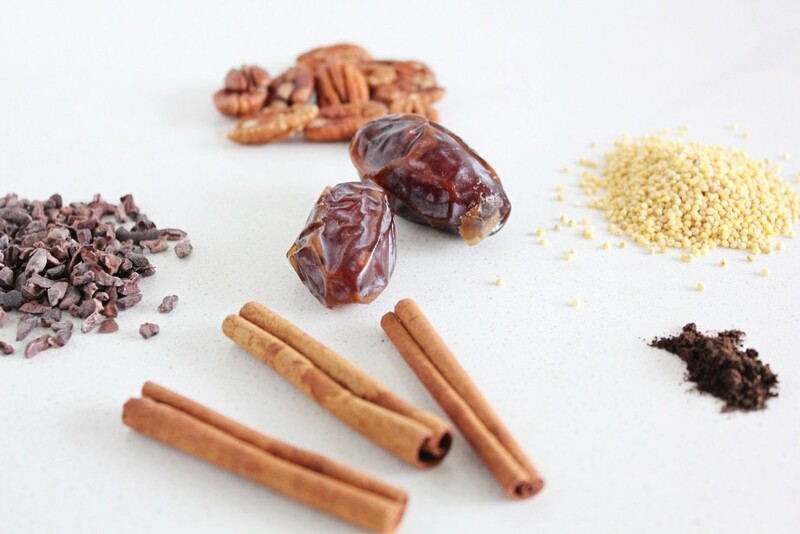 Cinnamon is a warming spice, so it makes sense to put it into a warming drink, and it also helps to maintain our blood sugar, so it is the perfect ingredient to add to something sweet. It also tastes really good with the chocolate. 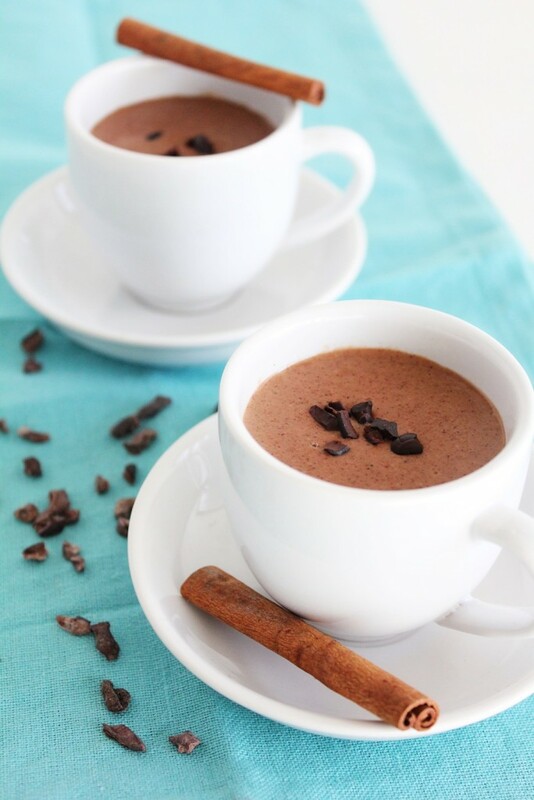 The only chocolate to go into the drink is cacao nibs (roasted, cracked cacao beans). 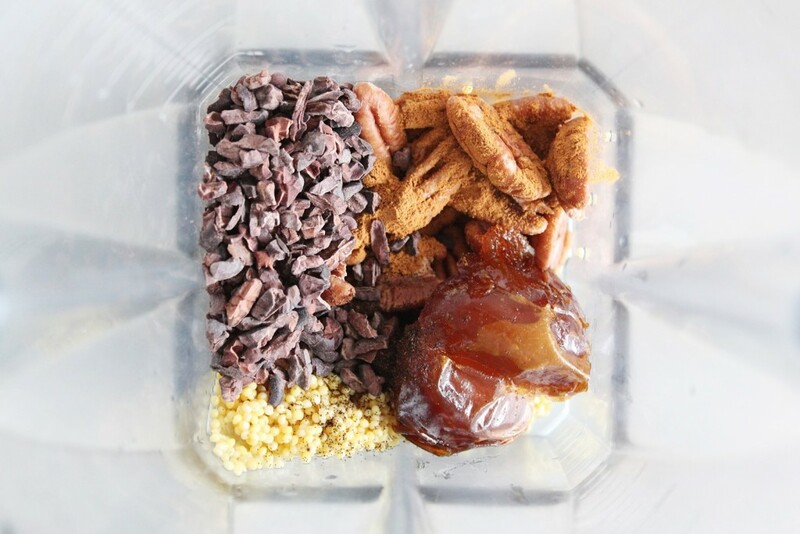 These cacao nibs are pure chocolate and are packed full of antioxidants, magnesium (if you crave chocolate on a regular basis, it may be because you are low in magnesium-pure chocolate is full of it), iron, and mood enhancement (for real, science says so). You can find them at health food stores or fancy grocery stores, often in the bulk section. I subbed out the masa in the recipe for whole, soaked millet (corn is a common allergen, and millet is alkaline and pretty easy to digest). Subbed out the sugar (obviously) for fresh dates, doubled the pecans (and soak them instead of toast them), and added water to replace the milk (we kind of make it all into millet/pecan milk in the process anyway, so water works well in this case). 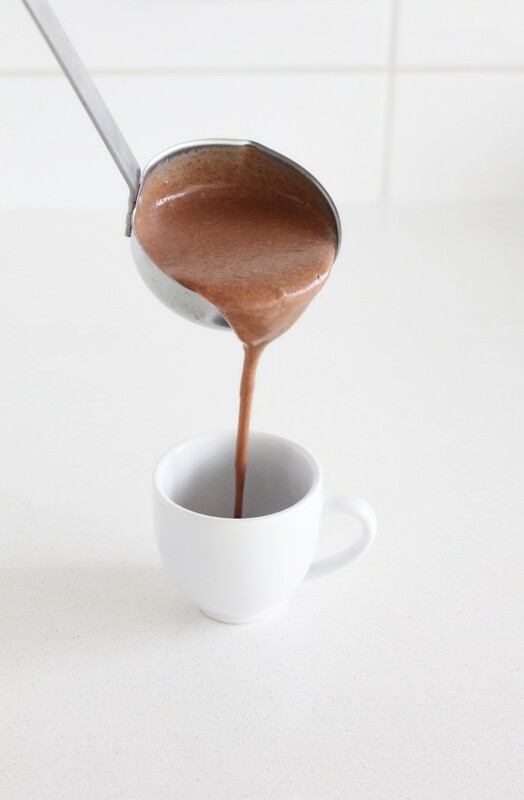 Our version contains more fiber and more fat, which lowers the overall glycemic load of the hot chocolate. It’s made only with real, whole foods and makes a really nice treat in the morning when you are pulling on your wool sweater and thinking about how nice a trip to Mexico would be. 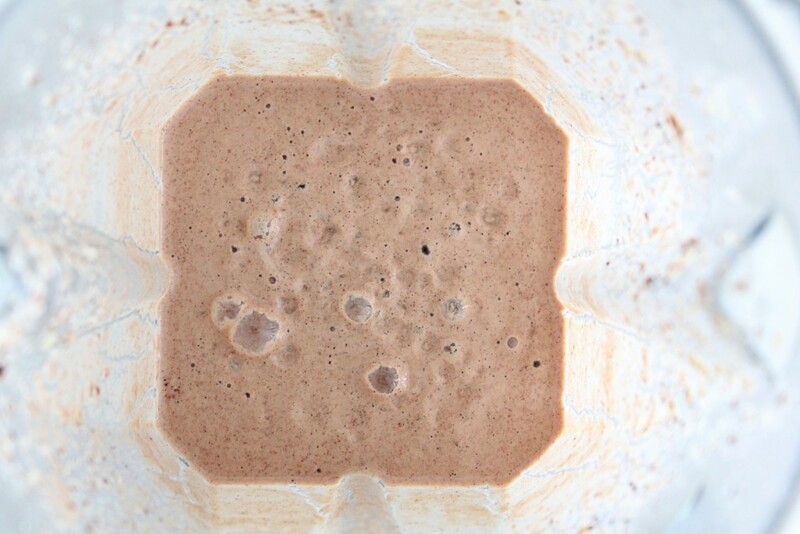 Blend all of the ingredients in a blender until very smooth. 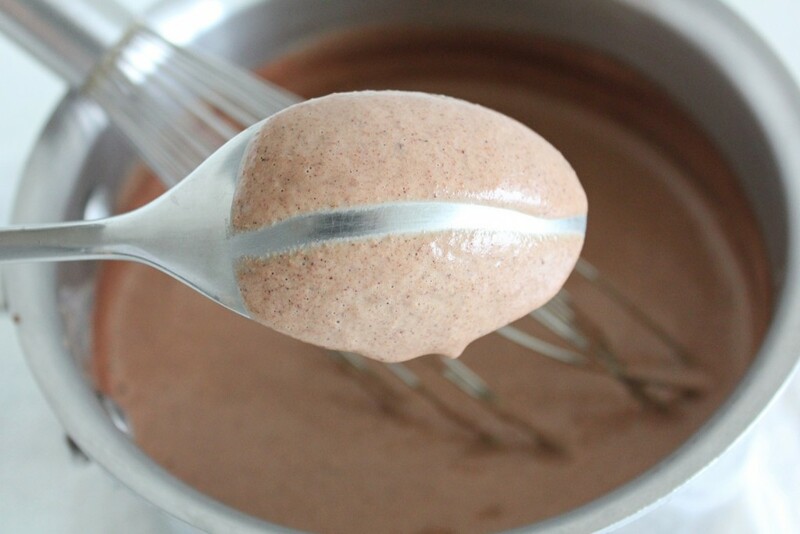 Pour contents into a saucepan and cook on med/low heat wile whisking for 10 minutes or until thickened. Water down to thin it out if desired. 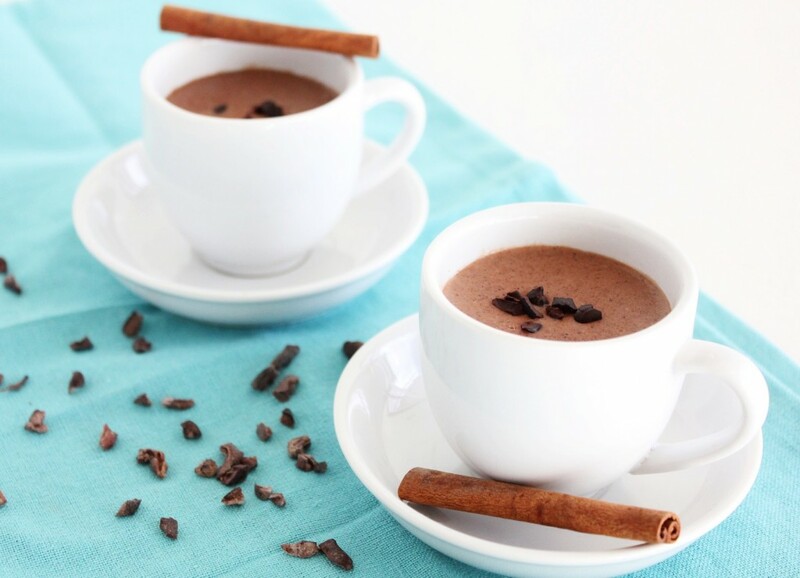 Sip out of a mug or serve in a bowl topped with cacao nibs, freshly ground cinnamon and fresh fruit (raspberries, pears etc) if desired. I’d love to see a section on the soaking process and subsequent cooking tips for individual grains, legumes and nuts; i.e. just like you’ve done with quinoa, I’d love to read how to prepare and cook other ingredients – amount of liquid, etc. Do you always use raw cider vinegar? Thanks so much for all your hard work making it easier for us ! Thanks Eva! Absolutely not! Or yes? I don’t know how to answer this….